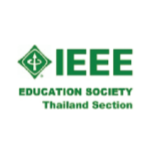 The 4th edition of the Special Session Entrepreneurship in Engineering Education 2019 (EiEE’19) aims to promote the discussion of goals and experiences to reinforce entrepreneurial education at engineering educational institutions (colleges, universities). What are the specifics in entrepreneurship for the educational systems of engineers? Which content should be taught? Which teaching/learning methods should be applied? What do all the entrepreneurship initiatives (e.g. the EC) mean for the education of engineers? Which experiences can be shared within the IGIP community? What are the goals to establish an international network of „Entrepreneurship Education for Engineers" and the IGIP Working Group "Entrepreneurship in Engineering Education?" Which role can ICL/IGIP and the IGIP Working Group "Entrepreneurship in Engineering Education (EiEE) perform? Please find all instructions here.